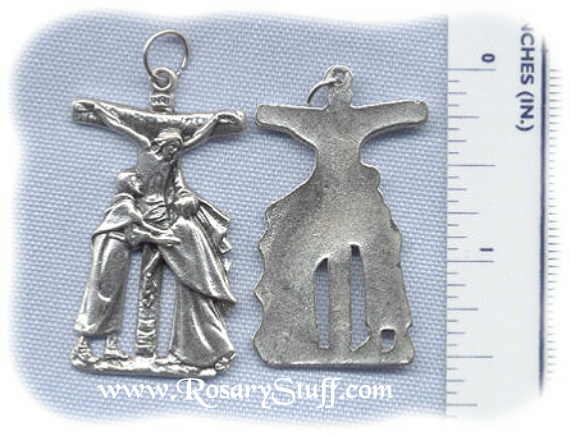 Italian oxidized silver plate At the Foot of the Cross crucifix featuring Jesus looking down on his Mother Mary and St. John the Evangelist. Sized at 1 5/8 inches tall (including ring) and 7/8 inch wide. Ornate Flower Crucifix ~SP~ 1 3/4 in. Eucharistic/Trinity Crucifix (NEW) ~SP~ 2 1/8 in.